I've know, I've been a bit absent from the blog this week. Now it's starting to get darker earlier on in the evenings, taking blog pictures has become a bit of a nightmare! Figuring out when to take pictures is next on my list... But I'm back with my album of this week! I'll be completely honest, I haven't been enjoying this album as much as I thought I would which is a real shame. 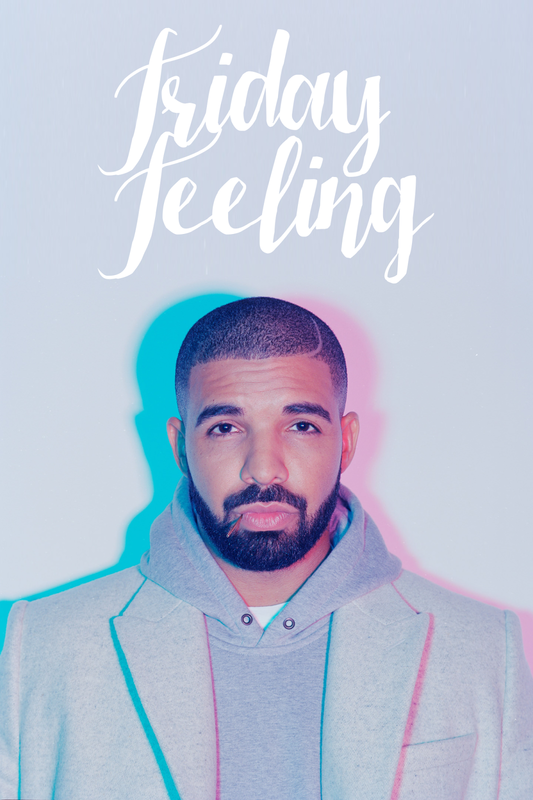 I love "Hotline Bling" and "One Dance" just like everyone else and there are some really enjoyable tracks on Views, but I'm so happy it's Friday and I can finally change the album. For me, Views doesn't really offer enough variety in its tracks, I think it's actually quite boring! The first half of the album is especially dull and doesn't really excite much in its listening. As it leads up to track 12, "One Dance", the vibe completely changes and that's where it starts to get interesting for me. I've replayed the album between tracks 12 and 20 more than any of the first eleven songs. I might be alone in this but I'm so tired of hearing Drake moan about how hard done by he is in love, and I feel like the quality of the tracks on Views really reflect that. They're monotonous, dreary and nothing special. Other than "Hotline Bling" and "One Dance", the only track that stands out for me is "Too Good" and even then I think it's because Rihanna's voice offers a nice change from Drake's drivel. I might be being too harsh here but listening to Views almost none-stop for a week really drove me up the wall; it's just not for me. If you're a real Drake fan, you'll love Views and it's twenty tracks. I think I'll leave the album for now and just enjoy the three tracks that offer some musical interest. Check out the full album below. Are you a fan of Views?